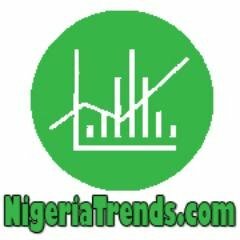 NigeriaTrends | BIAFRA — The Indigenous People of Biafra (IPOB), yesterday reacted to the statement made by Imo State governor, Owelle Rochas Okorocha, that the organization and its leader, Mazi Nnamdi Kanu, were deceiving Igbo people, arguing that it was not possible to deceive millions of Biafrans. In a statement by Chinasa Nworu of its Directorate of State, IPOB reminded Okorocha that the struggle for the restoration of Biafra was a divine mission, adding that its members would not allow themselves to be distracted. Berating Okorocha on his style of governance since he mounted the saddle as the governor of Imo State, IPOB chieftain said: “For nearly eight years, Okorocha has served as a governor. Can he show to the public accomplished projects that benefit the people in the state? We are not talking about building “roundabout” and trafficking Igbo youths to Turkey.